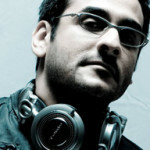 Check out DJ Suketu’s T.G.I.F. playlist exclusively on Saavn Music. This weeks playlist includes a never heard before mix of ‘Where’s The Party Tonight’ from the Bollywood blockbuster Kabhi Alvida Na Kehena!